UPDATE: Haughm issued an apology. 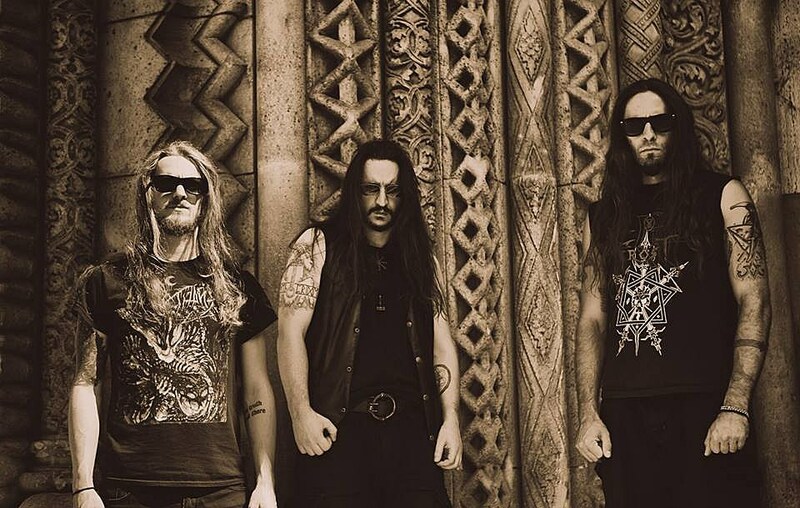 Former Agalloch and current Pillorian frontman John Haughm has come under fire for making an anti-Semitic comment on Facebook, which seems to have led to the other two members of Pillorian leaving the band. Haughm’s former Agalloch bandmates also posted a statement condemning him. As of this writing, I will no longer be performing or involved with Pillorian. In light of recent events, I feel it’s best for me personally, professionally, and creatively to go in a separate direction. The personal views reflected by other musicians I may have worked with are not my own views; I don’t take any sort of racist speech lightly. I feel endless gratitude for those who have supported my endeavors with Pillorian by coming to shows, picking up merch, or streaming the album. 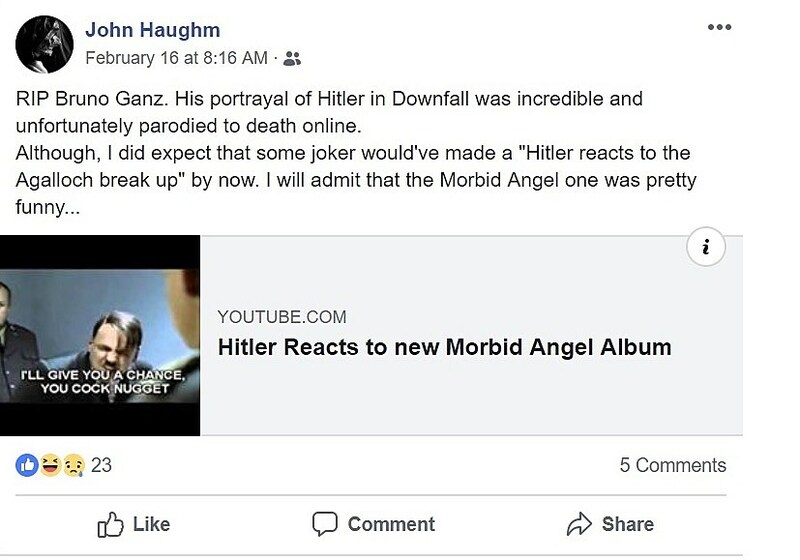 We—Jason, Aesop, and myself—are deeply disappointed to learn that our former bandmate John Haughm has made an anti-Semitic comment on his Facebook page. We vehemently condemn our former bandmate and want to make it clear that none of us share his reprehensible viewpoints. We have not had any direct contact with him since the breakup nearly 3 years ago (aside from Don who handles the business side of things with him). We are not friends. More importantly, he is NOT Agalloch. Please feel free to share. 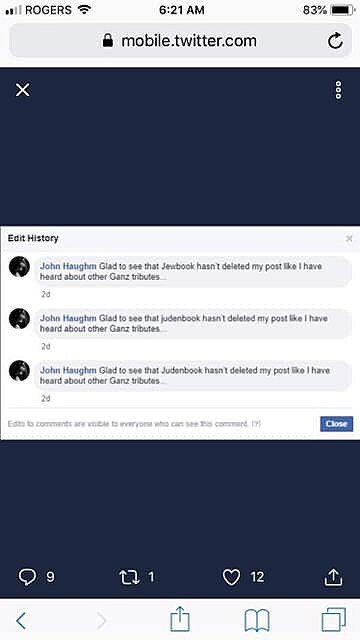 You can see their full posts, and screenshots of Haughm’s posts, below.